Facebook’s annual developer conference, F8, kicked off yesterday, and the social network has already unveiled several big announcements. According to Facebook, its developer community has doubled in size within the last year, as it now had hundreds of thousands of developers working with its social network around the world – and more than 70 percent are outside the United States. Due to this, Facebook announced dozens of products and tools to help developers build and monetize their mobile apps, as well as to help businesses grow using the social network. * Messenger App Update – Facebook introduced a new way for developers to create apps that integrate with the Messenger platform. There are currently more than 40 new apps for Messenger, which enable people to enhance their conversations with GIFs, photos, videos, audio clips and more. * Businesses on Messenger – Businesses on Messenger enables consumers to have conversations with businesses. “For example, after purchasing something from a website, people can choose to receive updates in Messenger and continue their conversation with the business in the app,” the Facebook announcement states. Through the feature, people will be able to receive relevant messages from businesses including order confirmations and shipping status updates. Plus, users will be able to take actions like modify, track or return an order, as well as ask questions and make requests. That said, this feature will initially launch with just a couple of partners. * LiveRail Updates – LiveRail will begin serving mobile display ads, which means that publishers can manager video and display ads across mobile devices. Plus, LiveRail publishers also have access to Facebook’s demographic insights to help them show consumers more relevant ads. *Facebook Analytics for Apps – Facebook unveiled a free Analytics for Apps tool to help developers and marketers better understand their app’s audience across devices, measure how people use their app and improve their marketing campaigns. Plus, the social network notes that it is testing a feature that measures performance of mobile app install ads across ad networks and devices so that advertisers can see how their campaigns are performing from one dashboard. * Open APIs – Facebook marketing APIs are now open to all developers. Plus, the social network unveiled an updated version of the Ad Management API in an effort to make it easier to create and manage campaigns. 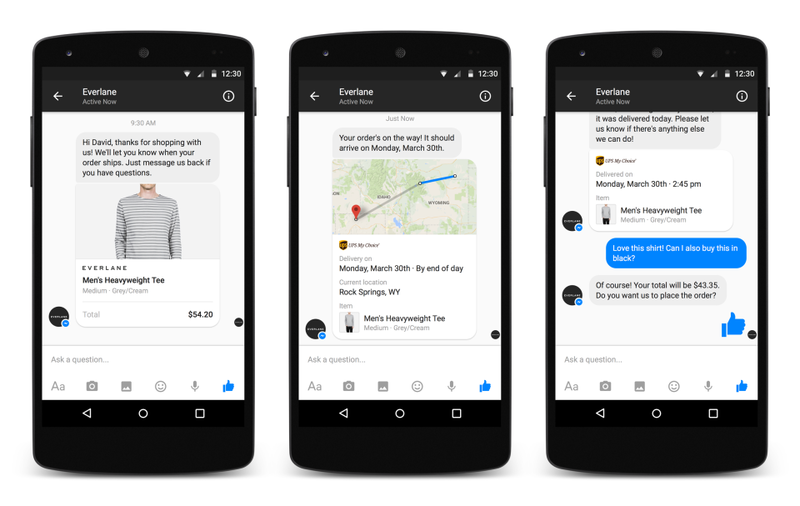 Facebook also notes that it is introducing a new Ads Insigths Edge API to provide a single interface for business and ad insights. * Enhanced App Ads Helper – Facebook has enhanced its App Ads Helper so it now monitors app events and ad delivery. Additionally, the App Ads Helper now has new tools to verify and debug apps. * Spherical Video – Facebook is previewing a 360-degree video experience in the newsfeed that lets users choose the viewing angle to better explore their surroundings. * Internet of Things – Facebook announced that developers can now use Parse to build a new category of apps for connected devices – from garage door openers to wearable wristbands.